I’ve visited the area in and around the sites and will post a few photos below. 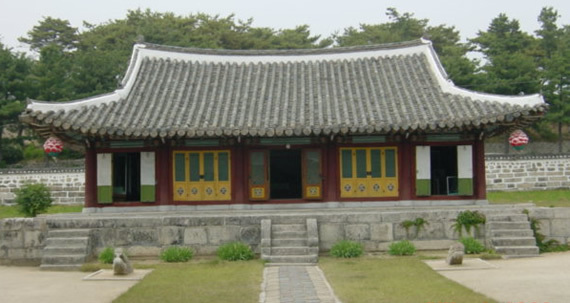 The Koryo Museum, located on the grounds of a palace complex just outside Kaesong. 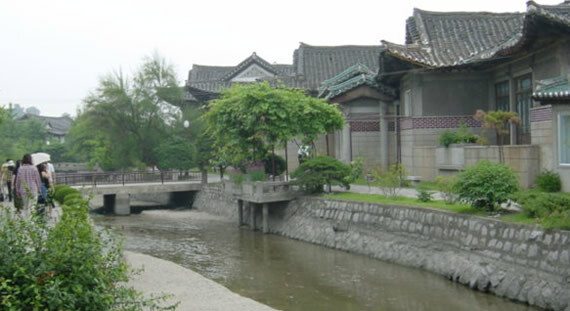 Traditional area of Kaesong, now commonly used for restaurants. 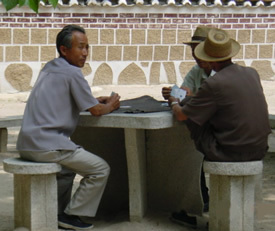 Three old men enjoying a game of cards at a palace complex just outside of Kaesong, near the Koryo Museum. 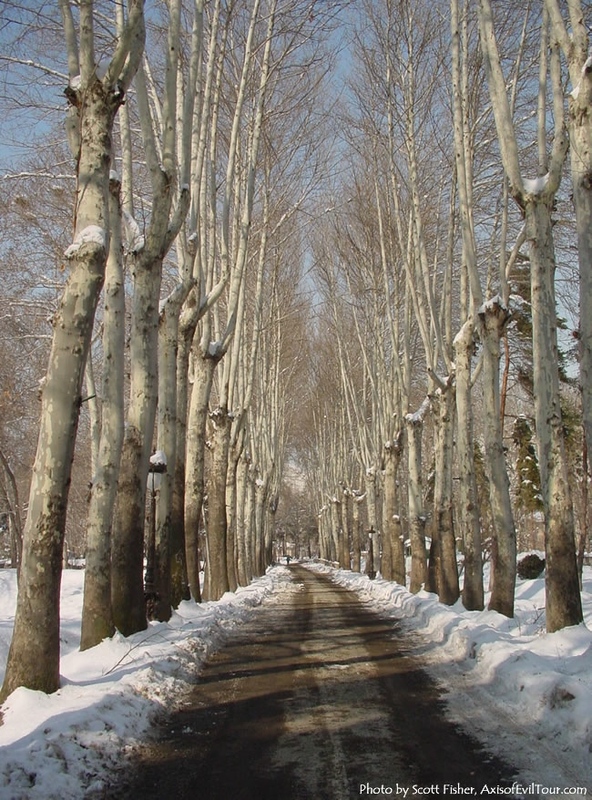 An Iranian palace was also added to the list, but my only picture there is of the snow-covered grounds (yes, Tehran gets snow in the winter – there’s even a ski area on a mountain to the city’s north). This entry was posted	on Monday, June 24th, 2013 at 5:42 pm	and is filed under Iran, North Korea. You can follow any responses to this entry through the RSS 2.0 feed. You can leave a response, or trackback from your own site. Hat tip to Steinbeck's Travel's with Charley. Travels with Scott serves as the virtual rackspace of 20+ years of travelogues, travel, and research. Please enjoy the site. © 2019. Scott Fisher. Powered by Media Temple (MT), WordPress, and RocketTheme.